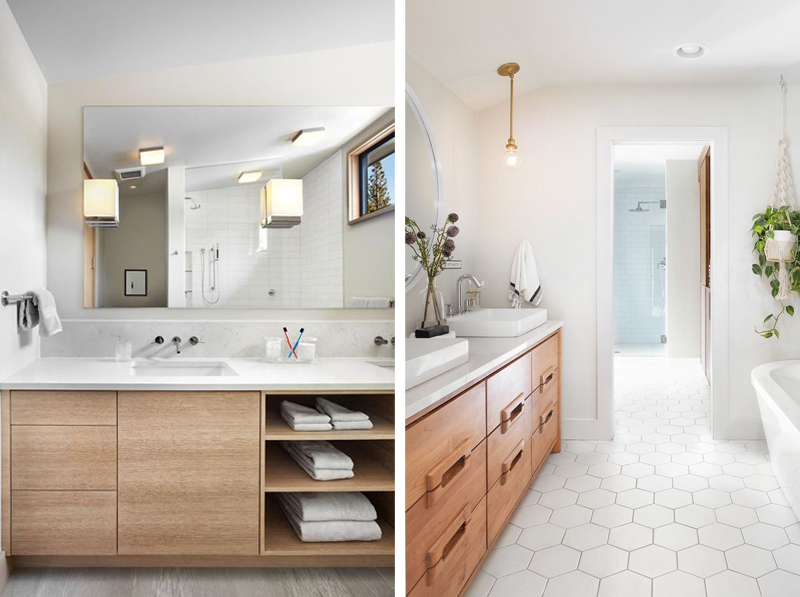 This week we’re looking at bathroom makeover options. The thing about making over any room in your home is the big decision on how you want it to look! What style choice and colours are you going to love not just tomorrow, but typically in 5 years time, possibly even longer?! 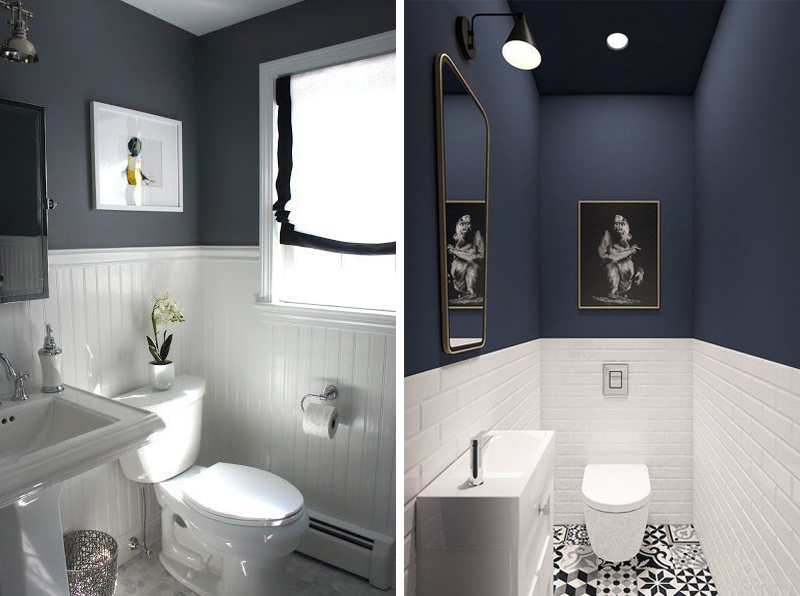 Because ultimately redoing any room is costly, not least of all bathrooms. While many of us have a particular style we love and are immediately drawn to, some of us love a variety of styles and find it difficult to commit to one look (case in point right here!). So where to start? First things first – sit down and scroll through endless inspiring images, choosing the ones love so you can get a clearer idea of what you find yourself coming back to again and again. 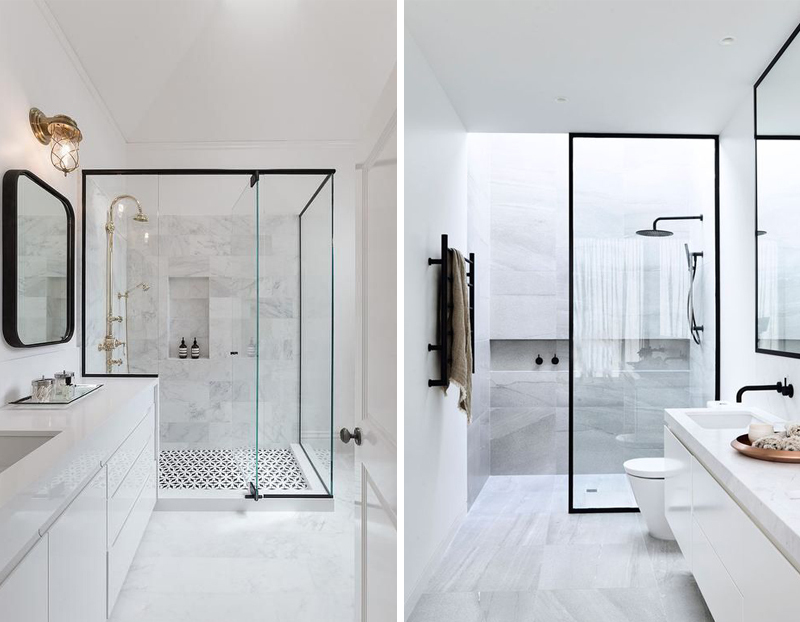 All white bathrooms are a classic. They are also typically straightforward to design and an easy option to keep the budget to a minimum. That being said, not all white bathrooms are created equal. 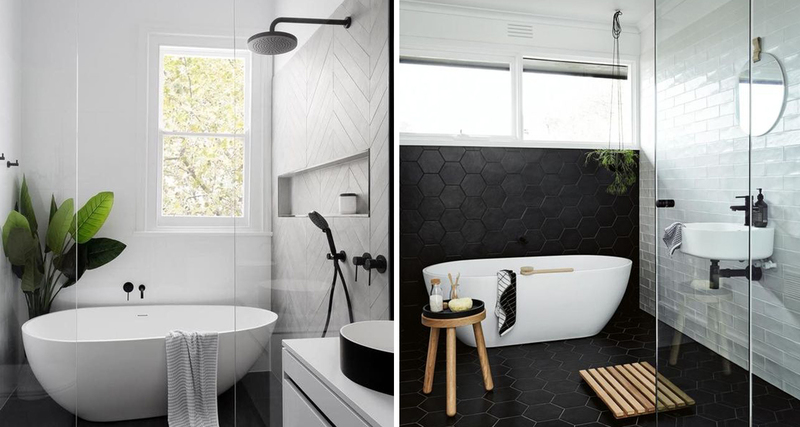 The current popular trend is subway tile finishes with black fixtures complimenting the space, creating a modern, timeless space. While popular, this look is not always inexpensive to achieve. Smaller tiles require more detailed labour, which is where your costs creep up. The black fixtures also run at premium prices. Chrome is a personal, and more affordable, choice. 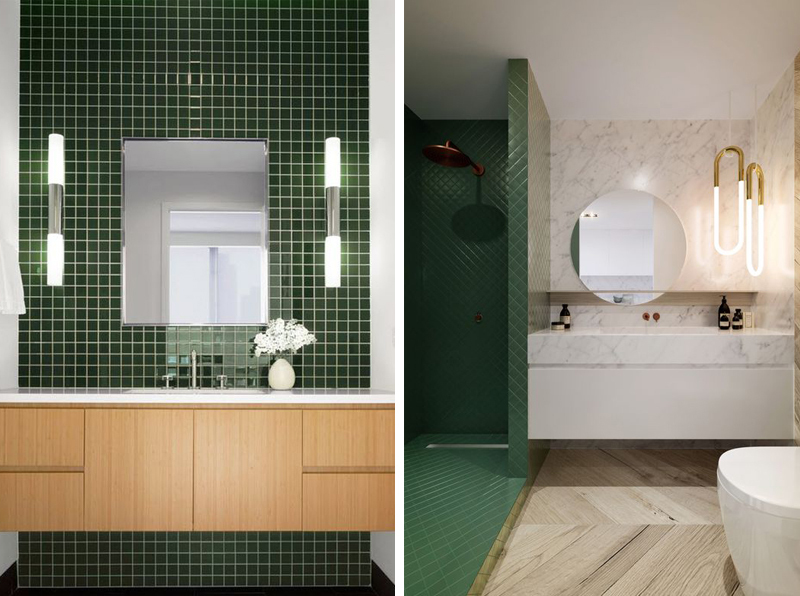 When working with subway tiles (or any tile for that matter) deciding on your grout colour can also have a design impact on the space. 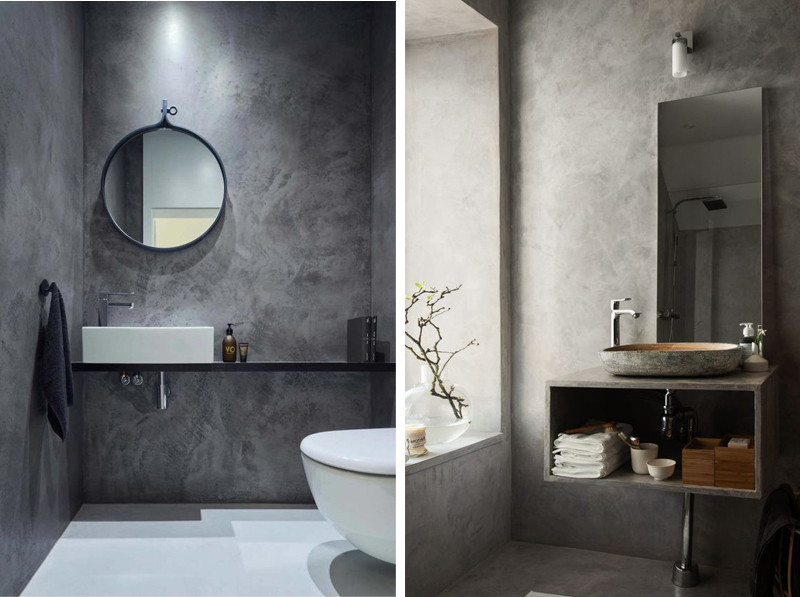 In the case below, they decided to use a grey grout for a cohesive look with the chrome fixtures. 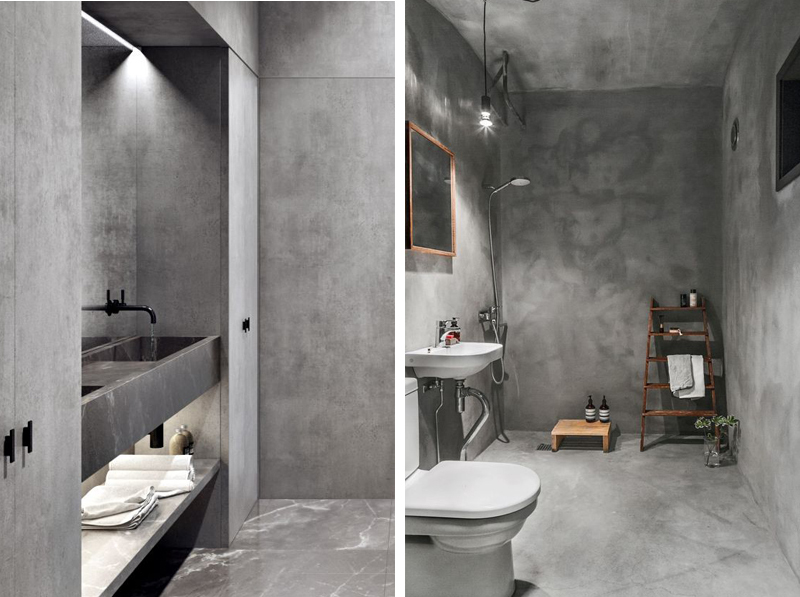 I looove a dark and moody concrete bathroom. 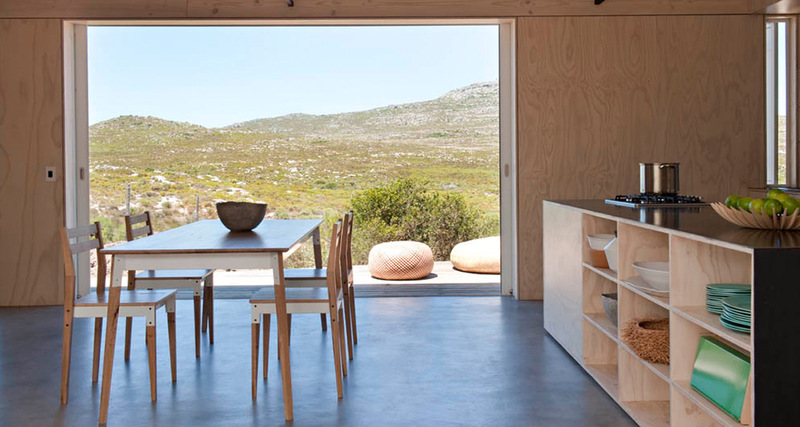 I love the masculine ambiance raw and natural material brings to the space. 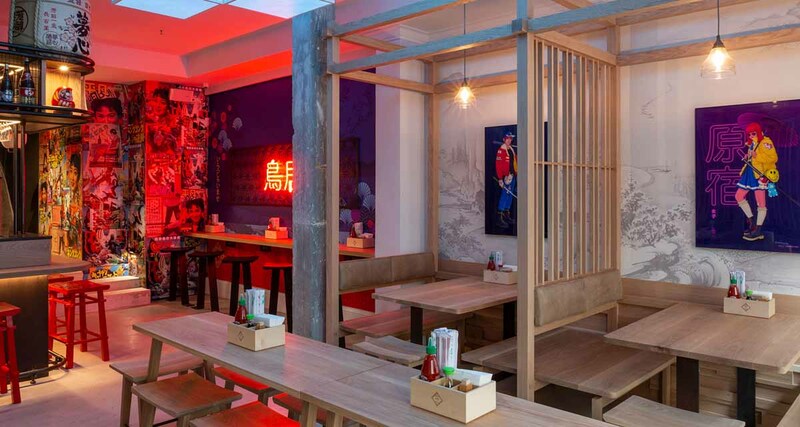 Also, sidebar for us OCD types sharing with non-OCD types – the darker flooring hides dirty footprints WAY better! I feel better about creating this look in spaces with good lighting (natural or otherwise). 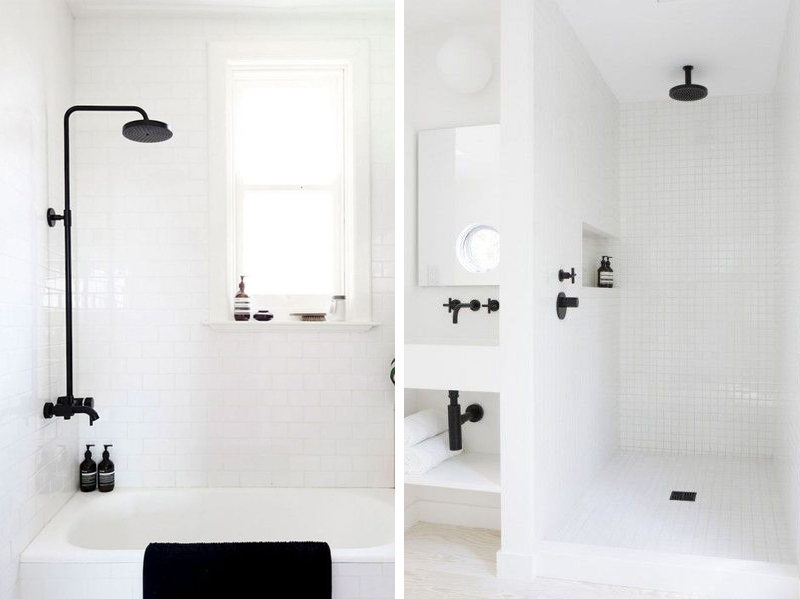 This classic pairing creates an chic, fresh bathroom. 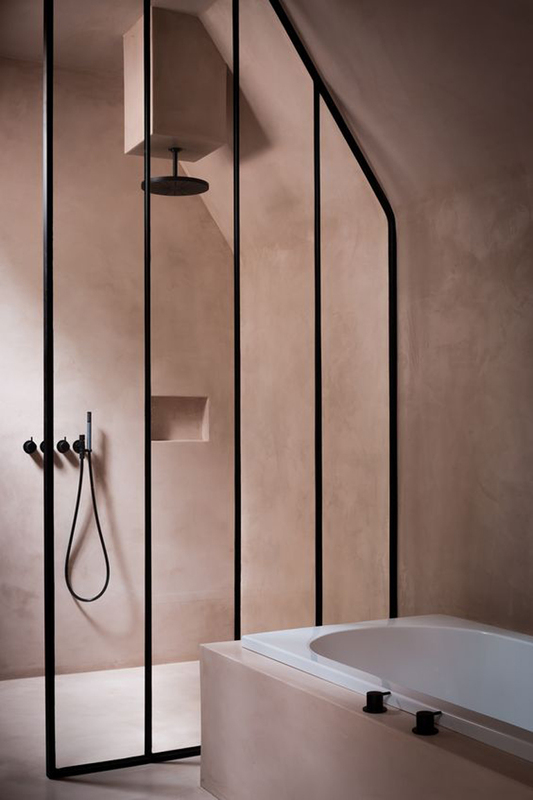 Not quite as stark as an all white bathroom, but not too dark either, this look works well for any in-betweeners who can’t commit either way. 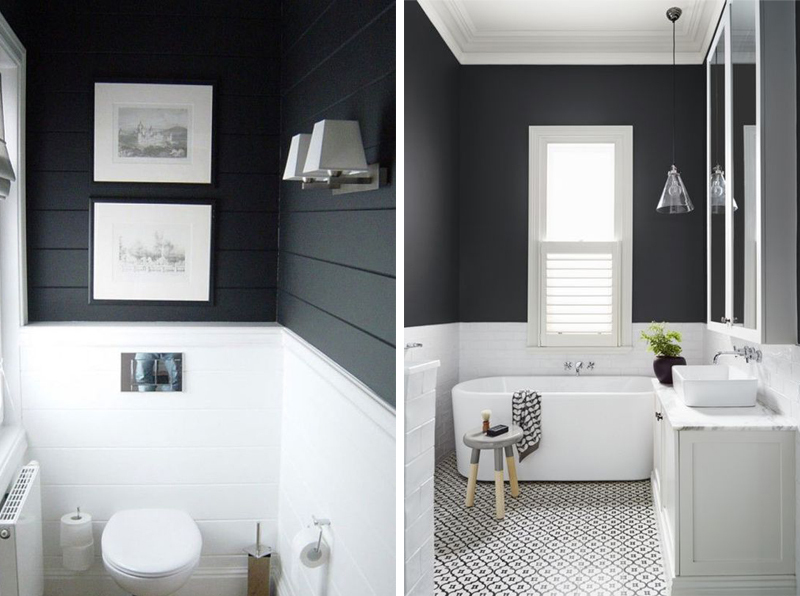 The advantage of painting the upper wall a different colour means it can be updated with less hassle and expense than completely tiled walls further down the line. 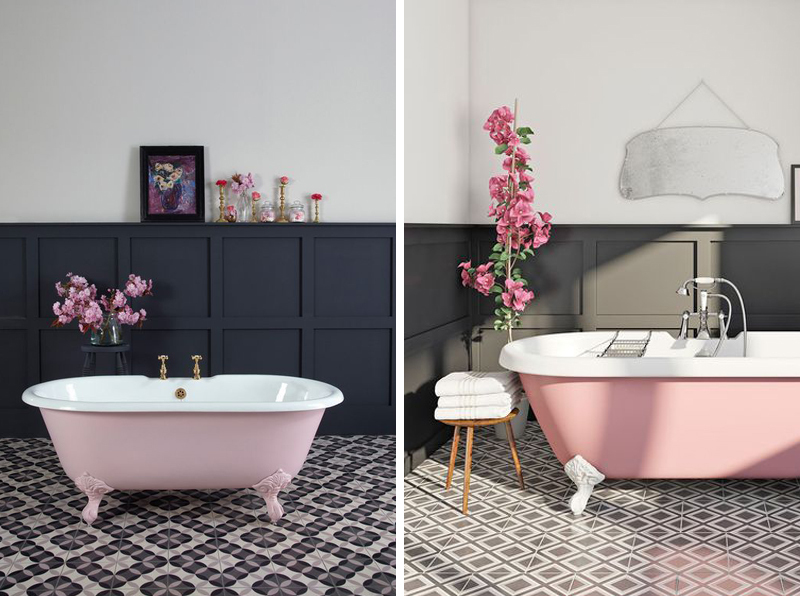 I love the unexpected, feminine twist of the pink tub! Such a great colour combination without being too girly. Had you mentioned when I started putting this post together the phrase pink bathroom, I would have said not a chance! Visions of salmon pink style bathrooms from the 80’s roll through my mind is horror waves. 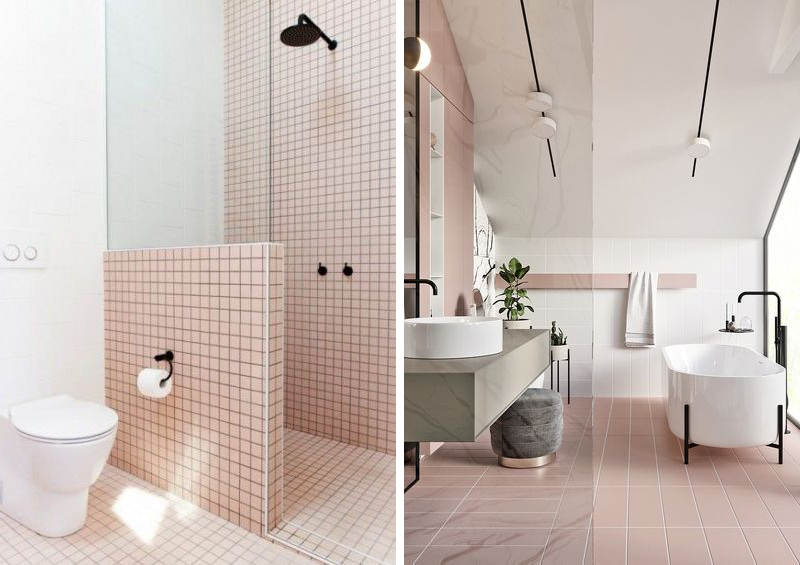 However after enough time on pinterest looking with interest at these chic bathroom interiors with strong pink finishes I’m starting to reconsider. 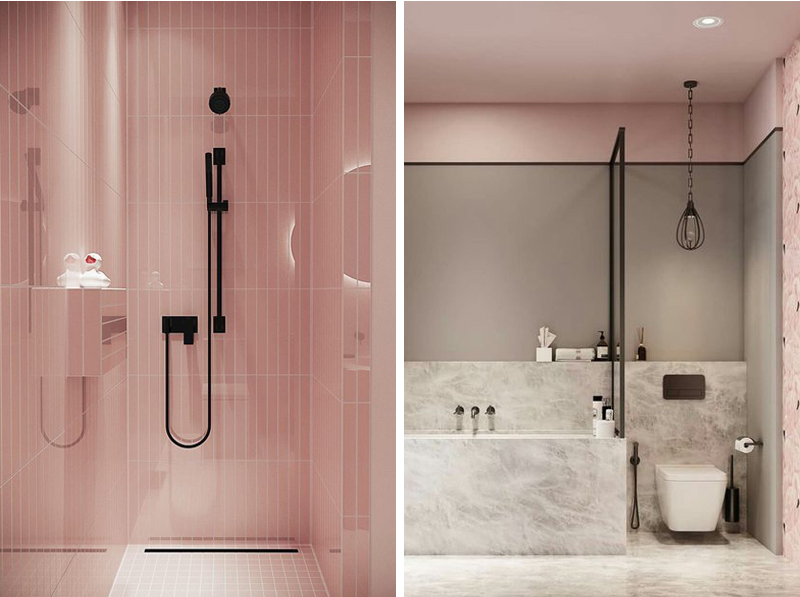 To create a modern version, the pink should be complimented with strong white, black and grey accents, and all fixtures used in the space should be very modern. This will prevent the space from looking dated. 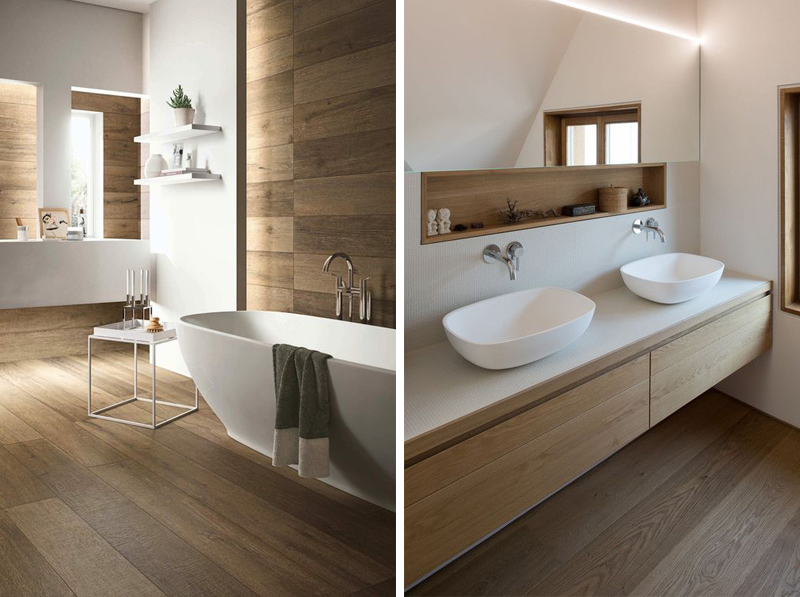 Another classic pairing for bathrooms interiors is wood and white. 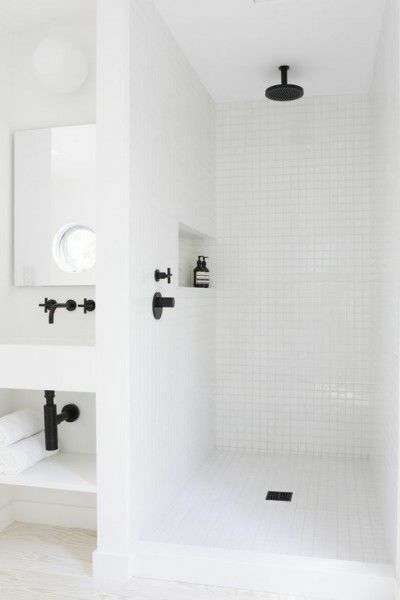 Bringing the natural material into the space softens the white effect and adds a warmer finish overall. This one truly feels like a timeless classic. 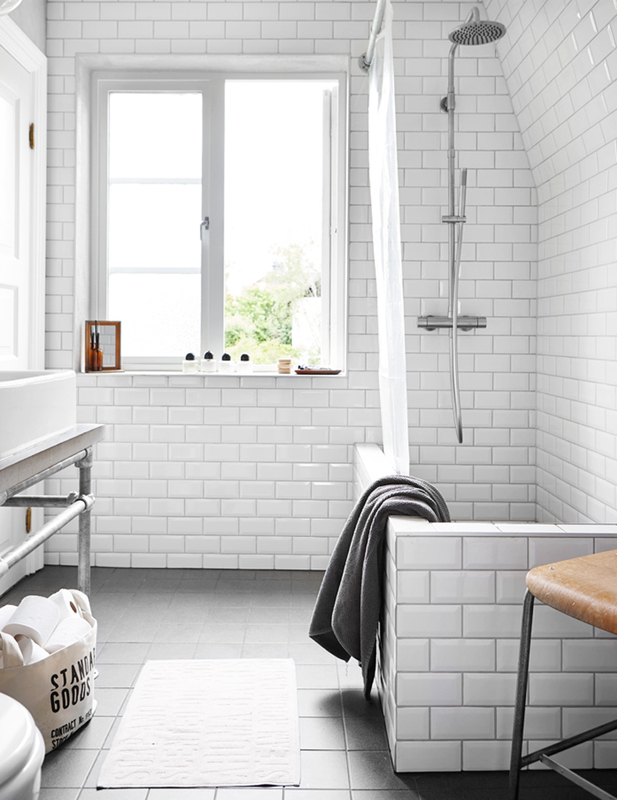 Using wood look tiles is a great way to create the look in a wet room. 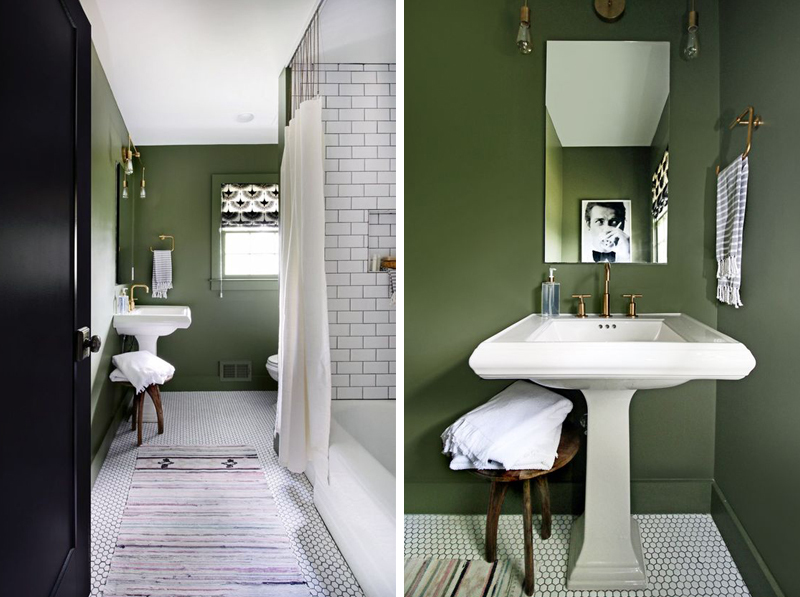 When I starting looking for green bathrooms, I was actually after something reflecting my new love of sage green, which to me would create a soothing, spa like feeling in a bathroom space. However these dark green images took my fancy instead. Again the key for a modern look is to use the green as an accent colour, and bring in lots of white and black elements for contrast. I love the wood pairing with the green too, for a much warmer, softer finish.